Stop off whilst cycling from Roxburgh to Millers Flat, or make a special trip, to see the remains of the iconic Teviot Station Woolshed. 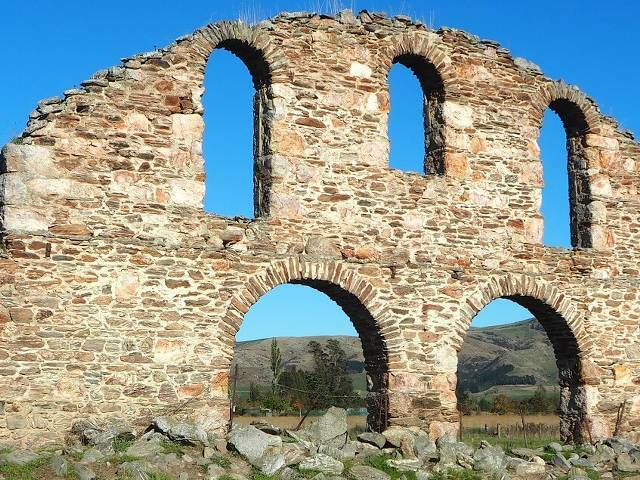 New Zealand’s largest stone ruin remains are listed Category 1 with the Historical Places Trust. Made from stone, steel and timber this was once the world’s largest woolshed. On private land the colossal curved end makes it strikingly visible from both Smith and Loop roads.